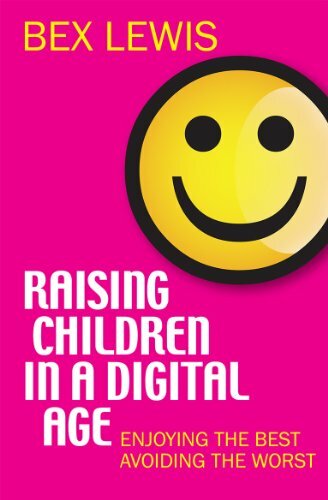 This new book from Dr Bex Lewis promises to offer excellent advice to parents as they help negotiate the digital world that their children live in. Helping us to “enjoy the best and avoid the worst’, Bex’s book promises to be a fresh, sensible guide to anyone wondering how to help their children connect well with the internet and beyond. I have met Bex several times and she has advised us here at the diocese more than once on good engagement with social media etc. She speaks each year at Greenbelt and other major Christian festivals. I’m looking forward to getting my hands on a copy! Bex Lewis is the Research Fellow in Social Media and Online Learning for CODEC, ST Johns, Durham, and the founder of Digital Fingerprint. She has wide ranging interests and expertise, having taught in HE since 1998, in the subject areas of History, Media Studies, Design for Digital Media, American Studies, Film Studies and Journalism Bex is a social media ‘resident’, and has developed a strong Community of Practice through a combination of social media and conference/workshop attendance. Her diverse background as a lecturer across a range of disciplines has helped her to understand the range of responses to technology among colleagues, and to have credibility as an education developer in this exponentially growing field.